Description: “Echinacea is the most important herb to use as a natural anti-microbial for mild infections of the ears nose & throat” says David Hoffmann, world famous medical herbalist. Directions: Use several drops in hot water to make a tea or add to juice or water. It is best taken at the first symptoms of a cold, as an immune stimulant for sore throats, cold, allergies, sinusitis and blood cleansing. 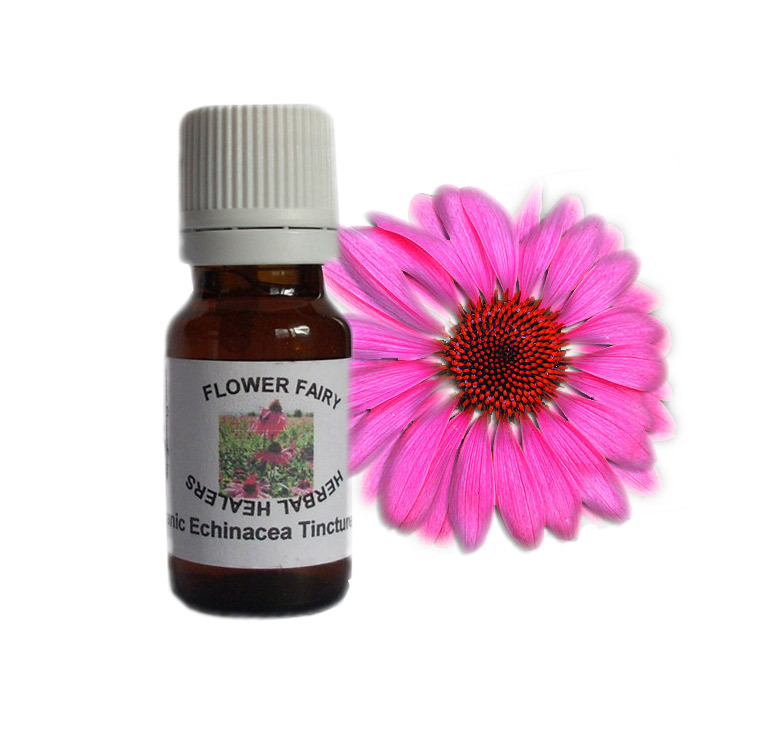 Studies have found Echinaceas to be benificial for increasing immune systems & immune cells. Taking Echinacea early on or during a cold may help in prevention and lessen it's severity and duration, along with protecting your immune system from being prone to illness as quickly. Ingredients: Hand-picked, hand-cut, locally grown and harvested from our Flower Fairy Herbal Victoria garden. Organic Echinacea Purpurea flowering plant & root in premium alcohol 1:1 ratio. Cautions: For short term use. It is not suitable for all individuals due to its immune stimulating properities. Do not use Echinacea products in general with autoimmune conditions such as rheumatoid arthitis, or for those with organ transplants, or those on immu -suppressant drugs or if you have MS, Aids or HIV,TB, or collagenosis. Tinctures such as Echinacea are traditionally made in an alcohol base. In pregnancy see a physician before consuming any herb.